Fawad Khan was a part of the press conference for the official launch Indian Film Festival Melbourne (IFFM) 2016 along with other Bollywood stars. The Australian MP Martin Foley spoke about the need for a cultural and creative diversity extending beyond borders. Rishi Kapoor was also present marking his first time initiating the Indian Film Festival Melbourne (IFFM) 2016. During the Q & A session, Fawad Khan was asked if he was choosing roles based on some restrictions to which he replied that he was open to all kinds of roles. The Indian Film Festival Melbourne (IFFM) 2016 will commence from 12th August and draw to a close by 21st August. Quite a few Bollywood stars will be making appearances including the likes of Malaika Arora Khan, Vidya Balan, Anurag Kashyup, and others. From Pakistan, Fawad Khan and Sara Haider will be participating in the ongoing Indian Film Festival Melbourne (IFFM) 2016 as well. #FawadKhan at #IFFM2016 press conference in Melbourne. 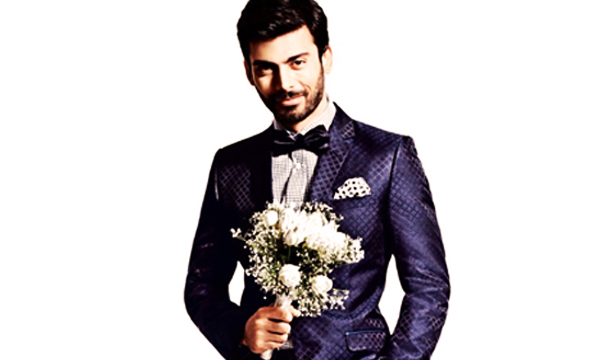 Fawad Khan was recently in the news for his growing friendship with Deepika Padukone and Karan Johar. The trio had gone for a secret getaway to Barcelona. Apparently, the three were headed to Barcelona to attend a fashion show. The gorgeous diva Deepika Padukone and the Pakistani hunk Fawad Khan totally charmed the audiences and fans when the two became showstoppers for a Manish Malhotra fashion show. The actor will next be seen in Karan Johar’s directorial debut Ae Dil Hai Mushkil alongside Aishwarya Rai, Anushka Sharma & Ranbir Kapoor.